Magaine suffers severely from moisture stains. Cover and spine has chips, tears, and creases. 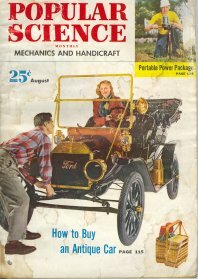 Features how to buy an antique car, portable power package, and speaker box improves t.v. sound.